This is a question I get asked A LOT, Everywhere you turn someone is either talking about going gluten-free or telling you about the new gluten-free product they found. 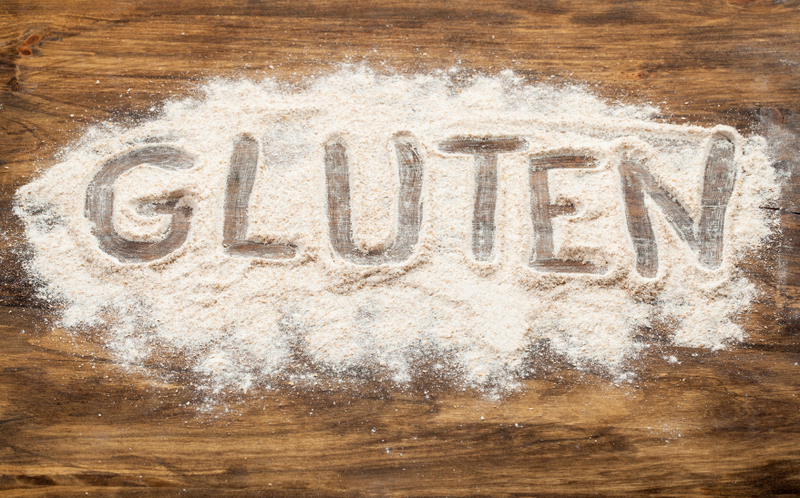 So let’s delve into some of the reasons gluten intolerance seems to be on the rise. 1. Gluten is found in many foods these days, the number of processed foods and fast food restaurants have risen so much over the past few years and gluten is a main component in foods found at both of these so people are eating it more regularly than past generations leading to health issues. 2. People are also becoming more aware of their symptoms and realising that it isn’t normal to feel bad every day and that maybe the gluten they have been consuming is actually contributing to the negative way they feel. 3. Wheat is not the same product that our great-grandparents used to eat. It has been genetically modified to produce larger crops that are resistant to pesticides, herbicides and the environment. The issue with this is that genetically modified foods are not real food and they are highly toxic to our bodies causing an immune reaction leading to sensitivities and allergies. How To Be Healthy & Gluten-Free! When you remove gluten from your diet you may experience some symptoms (also known as withdrawal symptoms) such as irritability, agitation, headaches, fuzzy head, bloating, gas, nausea and fatigue, these are signs that the toxins are leaving your body and you are on the road to recovery, so please keep faith, they won’t last long. To reduce the symptoms, try a sauna or hot bath, take some vitamin C and drink lots of water. If you would like to speak to me in more detail about removing gluten from your diet or are interested in finding out more information on my gluten-free program which includes 2 consultations and a 2 week meal plan, please hit reply or email me at melaniegrimerhn@gmail.com. I will give you 10% of the program price if you book your initial consult by the end of this week and quote the code GF10. You would be surprised at the number of products that contain gluten, condiments included so why not try and make your own. Check out the gluten-free barbecue sauce recipe courtesy of Meghan Telpner Culinary Nutrition School. Heat olive oil in a medium sauce pot over medium heat and then add the onions. Sauté until translucent, about 5 minutes. Add the garlic and saute for another two minutes. Add in the remaining ingredients and stir until combined. Reduce the heat to a low simmer and let it gurgle with love for 25-30 minutes, stirring often. Taste test your sauce and decide if you want more heat or sweetness to it. Remove from the heat and let sit to cool. Run the whole mix through your food processor or blender and mix until smooth. Transfer to jars, allow to cool completely, seal and store in fridge or freezer. If left unopened, it will last a few months. Once opened, consume within 3-4 weeks.